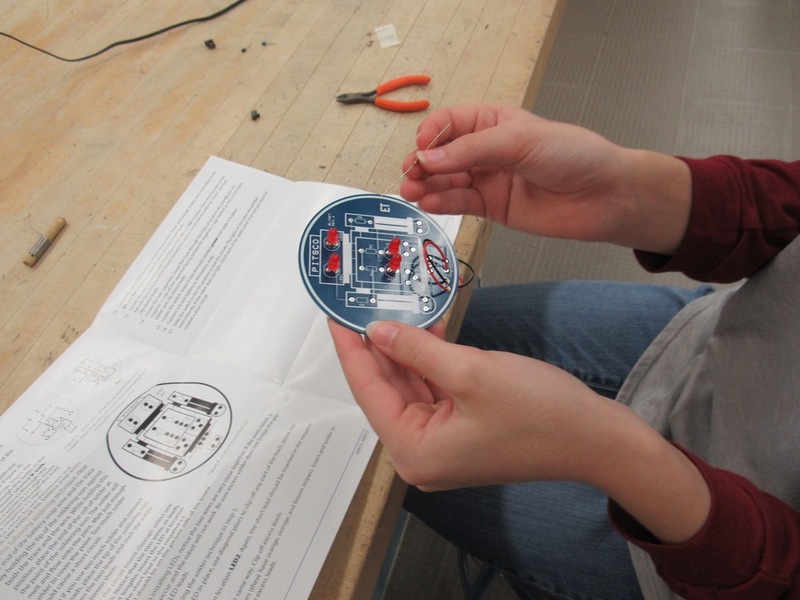 8th grade students in the STEAM lab are learning about electronics by building a "Blinky" kit. A Blinky is a small electronics training kit, which, when properly built, will make a series of LEDs flash on and off randomly. Each kit contains various electronic components such as LEDs, resistors, transistors, capacitors and much more. I talk with the students about what each component does and how they work within the circuit. 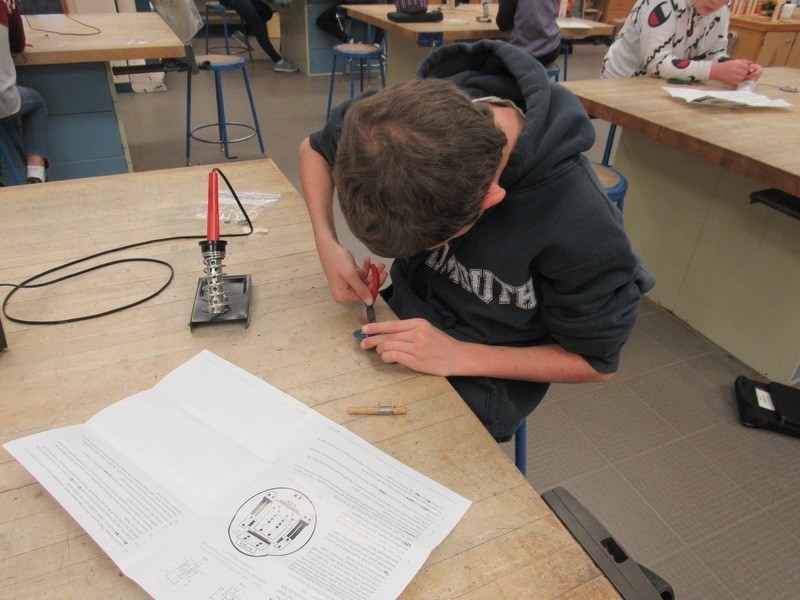 Safe and proper soldering techniques are taught before students begin their work work.